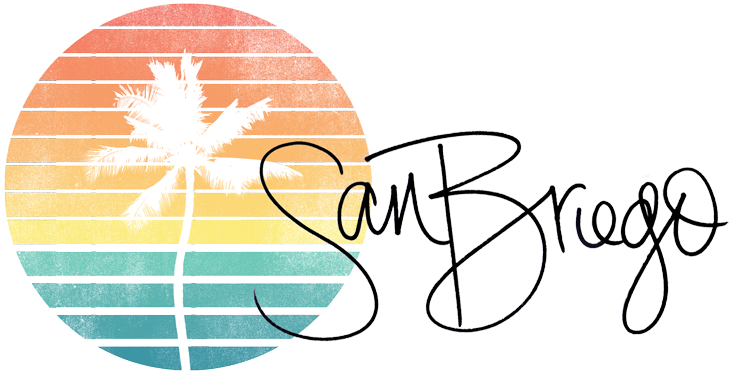 SanBriego | a San Diego Lifestyle Blog About Where to Go, What to Do, and How to Have Fun in SD! : Happy July! I can't believe it's July already - June just flew by! After kicking it off with the marathon, the rest of the month was pretty crazy. But it ended with a great and jam-packed weekend. Friday night we had a bonfire and mini-picnic at the beach and watched the SeaWorld fireworks. I made a yummy quinoa salad with red onions, heirloom tomatoes, feta and a balsamic dressing that I can't wait to post the recipe for. Saturday we went to Coronado beach for a little while and got some frisbee time in. 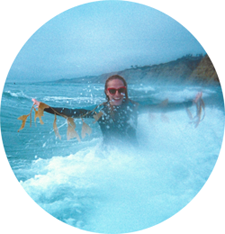 Playing frisbee in the surf is one of my favorite things to do in San Diego during the summer. It reminds me of my first summer here when that was all we did, literally almost every day. I also started a new book on the beach that is mind-blowingly bad. It's a self-published book by a marginally famous internet and TV personality and I can't help but be shocked at how terrible it is. After the beach, we went to see The Bling Ring in a hot theater because apparently air-conditioning is no longer included in ticket prices. And then yesterday, as you can see in the video above, we painted our bedroom. All day. After we put a couple of final touches on it, I'll post pics of the remodel. I can't wait to get home today and put everything back in our bedroom! We were at Coronado Beach on Saturday too. It was soooo beautiful. Perfect beach day! But yeah, July. Here so quickly! Crazy.